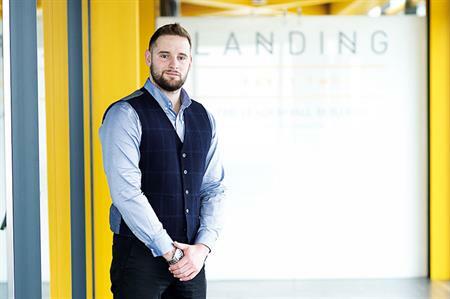 C&IT caught up with head of corporate events at Chillisauce, James Diment, to talk about the agency's success in 2016. How was 2016 for Chillisauce? Chillisauce continues to be one of the largest and fastest growing event agencies in the UK, and we’ve enjoyed one of our most successful years to date. In January of this year, I took over the role as head of corporate, overseeing the whole of the corporate division. I would say that it has been a fast-paced and exhilarating year, managing a high performing team of event specialists and organising over 700 events for companies including Microsoft, Barclaycard and Sony, but I have thoroughly enjoyed every moment of it. We have had an extremely positive financial year, even with the uncertainty the industry felt surrounding Brexit. We have had a profitable year not only in the corporate department but across the entire business and increased our turnover from 2015 to record levels. Back in February of this year, C&IT reported on our ambitions to reach a record turnover of £19m and at the end of our financial year in September we managed to achieve above and beyond that forecast with a final 2016 turnover of £19.1m. For the corporate team specifically, one of our key goals was to increase our repeat business and client retention. We achieved this goal taking our repeat business contributions to profit from 18% in 2015 to 40% this year. We have experienced some great highlights in 2016. Chillisauce being ranked tenth in C&IT's Top 50 UK agencies table for yet another year is up there. We also were recognised in the London Stock Exchange's 1000 companies to inspire Britain, which celebrates some of the fastest-growing and most dynamic small and medium-sized enterprises in the UK and Europe. Along with a record breaking turnover and our 11th year of consecutive growth, a business highlight was securing Barclaycard’s 50th-anniversary celebrations, where we organised seven events on the same day across the UK for their employees in different locations. What are your plans and focus for 2017? Of course, in 2017, we hope to continue our success and continue to grow as a business. We are investing a lot internally, especially in IT and we will be implementing some new developments next year. For our corporate team, we will focus on further increasing our repeat business and securing preferred supplier agreements with our clients.